Ready for the perfect girls night? So are we. There’s just something about the relaxation that washes over you when you check into a hotel. The slippers. The robes. Long soaks in the tub. Room service. Fancy sheets. Sleeping in. Wouldn’t it be great if you capture that feeling sans the $500/night price tag? La Crema and Camille Styles agree. That’s why we’re teaming up to usher in Spring right with the Hotel Inspired Staycation you deserve. Girls night, here we come. Wondering what would be the perfect wine for this experience? 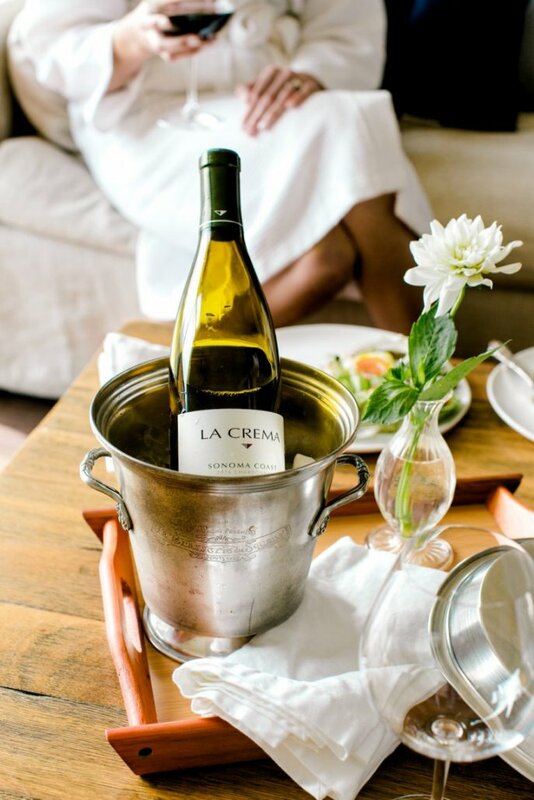 Spoiler alert: Sonoma Coast was made from Springtime sipping with friends. It’s rich floral notes, honeysuckle, and the perfect balance of acid make it the star of any staycation. 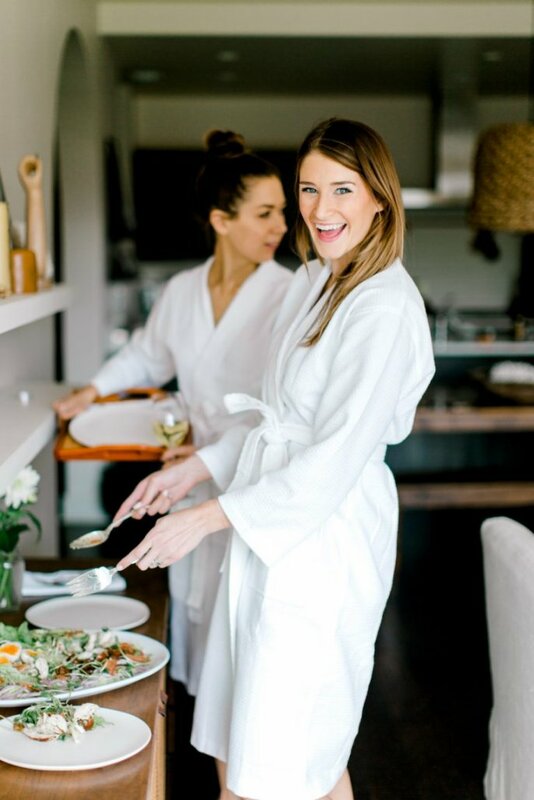 Indulge in a few of pictures here, and then head over to Camille’s website to create your menu, pick out your robe, and check-in to your new ultra chic home away from home (at home). Don’t forget the ice bucket! A girls night must. Get comfortable and casual. Snack and sip the day away. Turn girls night into a full-blown girls weekend. 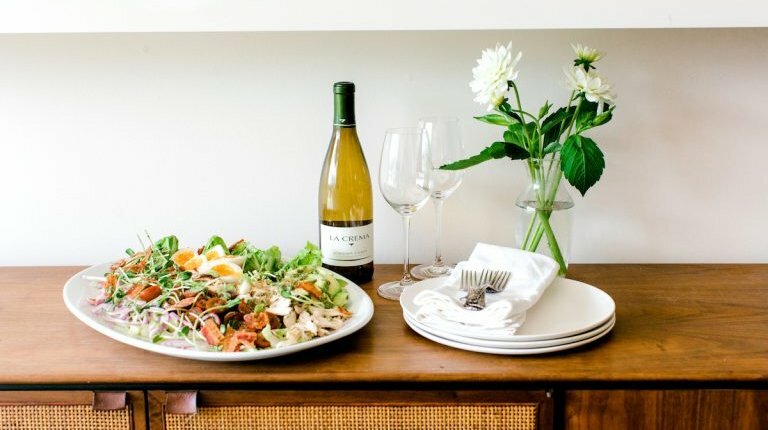 Plan the perfect combination of Chardonnay and Finger Foods. Round. Light. Balanced. Highly concentrated in flavor and signature smooth until the last drop.